Why choose the Bennett Jones Partnership? Bennett Jones was established in 1990 with the senior staff having in excess of 30 years local experience. With no one in the Dursley and surrounding area having more experience this makes Bennett Jones the first choice for professional advice on all aspects of selling your property. We pride ourselves on providing expert, friendly and personal service, taking you through each stage of house selling from the initial valuation stage to exchange of contracts and completion. 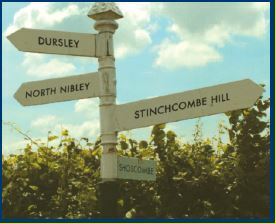 Bennett Jones Partnership are the only agents with three offices within the Dursley, Berkeley and Wotton-under-Edge catchment area, giving us the ability to display and market your property in all three centres. You can get a general picture of your local marketplace through local newspaper adverts and property portals. Although for a more accurate value, it is important to turn to an experienced local estate agent, which is where Bennett Jones comes in. We will visit your home and meet with you at a time that is convenient. It usually takes 30 minutes to an hour and will involve a detailed inspection of your property. We will look at your specific needs, market forces and current demand, as well as previous transactions in your street and activity levels with other property similar to your own. Based on all of these elements, we will suggest a value range and highlight anything we think you can do to increase this value. Then, we will suggest an appropriate asking price. The valuer will explain our comprehensive marketing strategy, and will give you a breakdown of the service level you can expect from Bennett Jones Partnership. We will also address any questions or concerns you have. When you are deciding which agent to use, do watch out for those suggesting inflated values. Although those figures can seem attractive, they may well be unrealistic, so your house attracts little interest, very few viewings, and sits on the market for ages. You should also make sure the agency you choose has a comprehensive marketing strategy, proven sales record and professional and courteous staff who respect your time, keep you updated and make things happen. It is essential that your property is presented in the best possible way, clearing the clutter and giving your property more appeal will improve your chances of selling, particularly as most buyers at some stage will use internet property portals to search for a new home which will include a range of photos to display your property at its best and the presentation will greatly improve your chances of achieving the best price in the shortest time. We spare no expense and ensure your property is marketed on the major portals including Rightmove, Primelocation, Zoopla, Vebra.com, the Times, the Telegraph, the Independent, Evening Standard, the Daily Mail, Home & Property, AOL, MSN, Homes24 and many more providing your property with one of the most extensive internet advertising packages currently available. Alongside this, we are one of the few agents who continue to see the value of Newspaper advertising via the Gazette series of newspapers which reaches into North Bristol, being one of the strongest sectors for buyers in the Dursley, Wotton-under-Edge and Berkeley areas. Bennett Jones will prepare colour quality brochures incorporating floor plans and a number of colour photographs along with the Energy Performance Certificate (EPC). The valuer will discuss with you the best way to carry out viewings. Most owners prefer to supply us with keys, while others prefer to be at home during viewings. You can choose whichever suits you best. When carrying out the viewing, our negotiator will give the viewer time to look around pointing out the most impressive parts of the property, our staff will have often met the applicant before and will be aware of the features of your property that will interest the particular applicant and ensure they are pointed out to them gaining the greatest impact from the viewing. The value of using the correct agent pays dividends when negotiating the sale. At the time an offer is made, we will let you know by phone, advising and guiding you through the process in order to achieving the best possible price. A good negotiator will cover their fee by using their professional negotiating skills to achieve the optimum price. The negotiator will check the ability of any offer to proceed and should there be a chain, we will check with each agent involved and ensuring that the offer is likely to progress. Before suggesting acceptance, we will ask for proof of funds from the applicants’ bank/building society or financial advisor. Do remember that things can change but our sales support team will ensure that it is checked thoroughly and a member of our expert team will check regularly to ensure a smooth transaction. Both the buyer and seller need to appoint a solicitor/conveyancer that can act for themselves and their lender. The choice of who will act for you is entirely up to you, the only restriction is that both parties cannot use the same person. It is important that you instruct a solicitor/conveyancer who will deal with the purchase of your property promptly. Not always the cheapest online provider is the best. We would be happy to recommend a local solicitor who would be pleased to help you. Should the buyers require a mortgage for the purchase, they will need to submit a full mortgage application. The lender will need to inspect the property for valuation purposes, which is purely to confirm the value of the property. They may point out any major structural issues, however, some purchasers will also want a more in-depth report, particularly with older properties and also request a building survey. They might attempt to renegotiate the agreed price based on the findings of the survey report. Again Bennett Jones will guide you through each stage, helping with quotes and minimising any price re-negotiation by the purchasers. The mortgage company, when they have the report, will offer the buyers their mortgage. The solicitors will apply for local searches and look through the contract, making any necessary enquiries. Bennett Jones will act as intermediary between all parties ensuring things move smoothly with your sale and throughout the chain both above and below. Bennett Jones employ a former conveyancer as part of the sales chasing team who is able to help with any technical problems should they occur. We have carried out many tasks to help things move along, from checking covenant holders no longer exist to obtaining certificates from foreign government departments. Once the solicitors are happy with all the information, they will exchange contracts, at which point the buyers will be legally committed to purchase. The deposit from your sale is usually used as the deposit for your onward purchase. The next stage is moving day (completion) which is usually one week after the exchange of contracts. On completion the balance of the money is transferred and the move takes place!